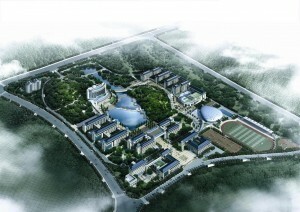 Guangdong Youth Vocational College (GDYVC), a state-run full time institute of higher education, mainly offers higher vocational education, adult education, youth leaders training, youth vocational skills training, as well as innovation of youth working theory. Founded in 1950, it was then known as Guangdong Youth Leader College and got its current name with the approval of the People’s Government of Guangdong Province in 2011. Established in 1990, Private HuaLian College is a higher education institution collectively run by some retired professors from South China Polytechnic University, South China Normal University, Jinan University and Guangdong Technology and Normal College etc in Guangzhou area. Approved by the People’s Government of Guangdong Province and put on record in the Ministry of Education in 1994, our college became a non-governmental institution with the qualification of enrolling students for academic education. In the same year we were enlisted as one of the colleges in China enrolling students sitting for National Higher Education Examinations. We enjoy the same treatments as other public colleges and universities such as student enrollment, student loans, government scholarship and academic diploma etc. The academic diplomas issued by our college are made by and electronically registered in Guangdong Education Administration.